A panel of officials and university representatives will gather in Huntsville Tuesday for the first meeting of the Alabama Space Authority, a group created by the Legislature earlier this year to attract a federally licensed spaceport to Alabama along with other space-related industry. The group will meet at the U.S. Space and Rocket Center at 1 p.m. Tuesday, and Glenn Rizner, chief of staff for the Federal Aviation Administration’s Commercial Space Transportation Office, is slated to speak at the meeting after the panel selects its chair and vice-chair. Rizner will present on what a spaceport could look like in Alabama. The federal government, through the FAA, is expected to approve several licensed commercial spaceports across the United States in coming years. The minds behind the Space Authority, including State Sen. Gerald Dial, R-Lineville, hope the group can attract one of the spaceports to Alabama as commercial space travel becomes a reality in the near future. “Those spaceports will be the hubs for space travel,” said Dial, who has sponsored legislation to create the authority for at least four years. Legislation finally passed to create the authority during the 2017 Legislative Session. State Rep. Howard Sanderford, R-Madison, sponsored the legislation in the House. 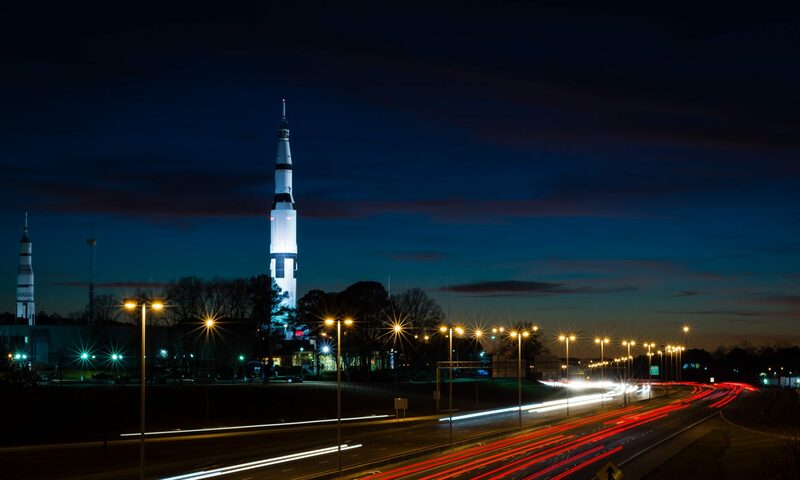 The Space Authority, part of the Alabama Department of Economic and Community Affairs, will encourage the development of space technology, promote space exploration and space tourism, sponsor conferences and work toward securing a federally licensed spaceport. Dial pointed to the positive effects Hartsfield-Jackson Atlanta International Airport have had on Georgia’s economy as proof that getting ahead in transportation infrastructure could boost Alabama’s prospects for the future. While some have painted Dial’s proposals as wishful thinking, the 80-year-old state senator believes Alabama needs to think ahead, not wait for space travel and commercial space flight to become a reality before trying to throw its hat into the ring. Hawaii, New Mexico, Oklahoma already have licensed private spaceports, and Camden County, Georgia, is trying to develop a spaceport on the Atlantic coast near Savannah. California and Virginia regularly launch payloads at government facilities, while Texas is another hub for private firms like Blue Origin and SpaceX to test their rocket engines. While still costly, private investment in commercial space travel is increasing as private firms like Blue Origin, SpaceX and Virgin Galactic set lofty goals for the coming years. SpaceX, Tesla CEO Elon Musk’s spaceflight firm and Virgin Galactic, a UK-based company, are planning manned trips into space in the coming years. Virgin Galactic, at a cost of $250,000 a flight, plans to take private astronauts into the Earth’s atmosphere starting in 2020. And SpaceX has plans to take astronauts to the International Space Station within the next two years. While Dial and his committee will focus on a spaceport, among other issues, the state has already been attracting private enterprise across the realm of space. It’s not just about space travel, it’s also about lower-tier suppliers, manufacturing and development. Private space companies are already investing in Alabama with Amazon CEO Jeff Bezos’ Blue Origin announcing a new state-of-the-art rocket manufacturing facility this year. The company will build its new BE-4 rocket engine near NASA’s Marshall Space Flight Center, where the Saturn V rocket was first developed. Another private firm, Aerojet Rocketdyne, also broke ground on a 136,000-square-foot manufacturing facility in Huntsville in October. Where the spaceport would be, if it’s ever constructed, was a point of contention among lawmakers in years past, but the authority is not focusing so much right now on where, but rather, how.